My short answer is: yes. “Don’t I have an obligation to pay off my debt?” Absolutely, it is scriptural. The Torah teaches us that it is a wicked person who borrows and does not repay (Ps. 37:21). Paying off debt on time is a great idea as well. “What if I don’t feel like giving? I thought G‑d loves a cheerful giver.” He does love a cheerful giver, so it is unfortunate when we don’t feel like giving. Just because you can’t have happiness when you give doesn’t mean that you can’t find joy in doing something even when it seems difficult. “What if I don’t give now so I can give more sooner when I’m out of debt?” How do you know that G‑d doesn’t want to use your smaller financial amount to meet a great need now? Sure, you could give a greater amount one day, but there are needs today. And if you give what you can now, that sure is a lot better than nothing - until a date in the distance. “I’m just going to finish paying this debt and then start to give.” Let’s be real and honest -Most people who use that line of reasoning find something else glittering to go into debt with when the previous debt is paid. “It is so tight, I don’t know if we could make it by giving at least 10%.” That’s where faith comes in. If you are really serious about giving and the finances are tight, you will be able to figure it out. It might require some sacrifice, but you CAN do it. The Torah does not mention anything about “pausing” tithing. Neither does it say that we will receive great punishment if we do not tithe. The tithe, which is a scriptural mandate, was not instituted for God’s benefit, because He already has all the money He needs. He does not need our money. So why does He ask us to give 10% to Him, so to speak? Tithing was created for our benefit. It is to teach us how to keep God first in our lives and how to be unselfish people. Unselfish people make better husbands, wives, friends, relatives, employees and employers. God is trying to teach us how to prosper over time. If you cannot live off 90% of your income, then you cannot live off 100%. It does not require a miracle for you to get through the month. I think that if you sit down and look at your budget, you will see that you can make it while giving at least 10%. Study Torah and take from it what you will, and if you tithe, do it out of love for God, not guilt. I do not beat people up for not tithing because that’s not the Chabad way, certainly do not, but do let me encourage you to tithe and to keep tithing. 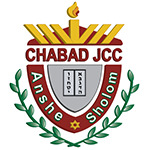 Tithe – Give 10% of your gross income to your local Chabad or Jewish community center this month. Pay – Pay at least the minimum payments of your debts. Eliminate – If that makes your monthly budget tight, then you need to get rid of something (eating out too much, gym or spa membership, TV, Cable, splurging on un needed items, – how serious are you willing to get). Look – Pray and be on the lookout that G‑d sends you extra funds or gives you an opportunity to make extra funds to attack that debt quickly. Pray – Pray that God multiplies what you give now and that it changes lives all around the world. Work – Work to a place financially where you can give above and beyond. You will be amazed during this time how G‑d transforms your heart, enlarges your faith, and makes you more like him. It is a gift to give, and I pray that you can experience watching G‑d do amazing things with his children’s obedience.